Gerry Price was born in Winnipeg and holds B.Sc., M.Sc. and Ph.D. degrees in Mechanical Engineering and Applied Mechanics. Following graduate studies, he worked as a Defense Scientific Services Officer for the Defense Research Board in Alberta, and then joined E.H. Price Limited in 1977. In 1986, he became president of E.H. Price following their start up in Asia Pacific, and began to lay the foundation for their expansion in to the US market. During his tenure, he has launched many new product lines, factory expansions and new business units in Canada and the US. 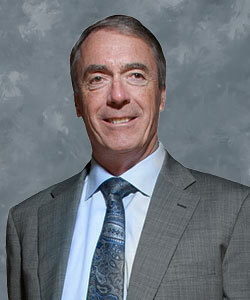 In addition to his business interests, Gerry is a member of many community and professional associations, including the Association of Professional Engineers for the Province of Manitoba, the American Society of Heating, Refrigerating and Air Conditioning Engineers, Manitoba Patient Access Network Committee, Business Council of Manitoba, and a founding member of the Friends of Engineering at the University of Manitoba. Through the Price Foundation, Gerry participates in many capital campaigns and fundraising to support local philanthropic endeavours.